This is the public profile of Hui Shan Chen, Additional information and high-resolution images are available for accredited press members, to access additional information about Hui Shan Chen please login as a press member. 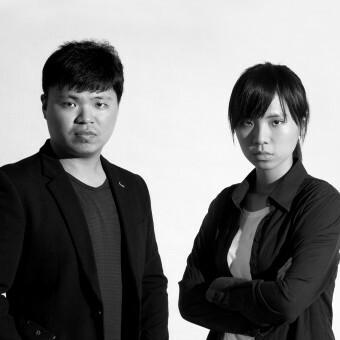 About Hui Shan Chen : Wei Duo Digital Creative Ltd. was founded in 2015. The company started the Graduates Pioneering Service Plan (U-start) and also was sponsored by Youth Development Administration, Ministry of Education at the same time. 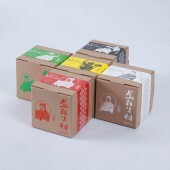 Wei Duo is different from others design company. They commit to design their works is about religion culture, hakka traditional culture in Kaohsiung, Taiwan. Wei Duo Digital Creative Ltd.
2011, Digital Media Design, BFA, I-Shou University, Kaohsiung, Taiwan. 2015, Visual Designer, Wei Duo Digital Creative Ltd., Kaohsiung, Taiwan. 2012-2014, Graphic Design Assistant, Kaohsiung Jazz Ballet Center, Kaohsiung, Taiwan. 2015, "Confession", Youth Innovative Design Festival, Kaohsiung/Taiwan. 2015, "Confession", Young Designers Exhibition, Taipei/Taiwan. 2014, "23:59", Youth Innovative Design Festival, Kaohsiung/Taiwan. 2012, "Half of Mine", I-Shou University Exhibition, Kaohsiung/Taiwan. 2015, "Confession", Organizer, Youth Innovative Design Festival, Kaohsiung/Taiwan. 2015, "Confession", Organizer, Young Designers Exhibition, Taipei/Taiwan. 2014, "23:59", Organizer, Youth Innovative Design Festival, Kaohsiung/Taiwan. 2012, "Half of Mine", Organizer, I-Shou University Exhibition, Kaohsiung/Taiwan. 2015, Graduates Pioneering Service Plan (U-start) sponsorship, Taiwan. 2014, Honorable Mention, The 1st Your BenQ Design Competition, Taiwan. 2012, Honorable Mention, 3D Projection Mapping Competition 2012, Taiwan. 2014" Assocations among technology use, political involvement, and attitudes toward politics: A national survey", 2014 International Conference on Advanced Information Technologies, Taichung/Taiwan. 2015, "Design Lecture of Samsung", Taipei/Taiwan. 2014, "English Plus Digital Graphic Design at University of the Arts London, London/United Kingdom. 2013, Scott Robertson Workshop 2013 Asia, Kaohsiung/Taiwan. Press Members: Request an exclusive interview with Hui Shan Chen.